A repeat payment payment allows you to process another transaction using the details of a customer that are already on your account. 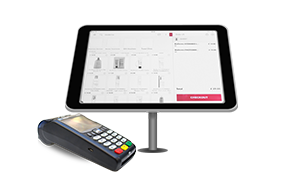 The repeat allows you to use the details that were captured for the original transaction and process them again for another amount, or transaction. Before you can repeat a transaction you need to make sure that the user you are logged into the account as has the permissions to do so. If your user does not have the permissions you will need to speak with your account administrator who will be able to do this for you. After logging into the account you will first need to locate the transaction you wish to repeat. Once you have located the transaction you would like to repeat, you will need to click on the successful payment, release, authorise. 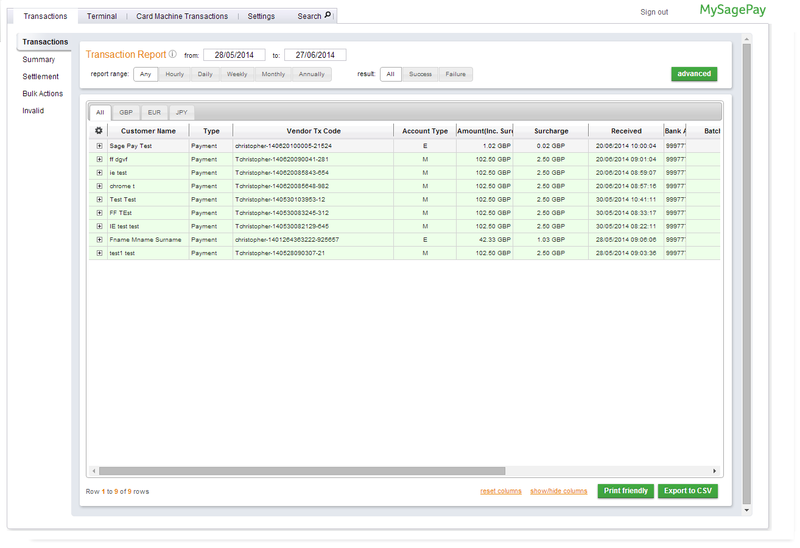 Now that you have located the transaction and opened the transaction detail screen you are ready to perform the repeat. 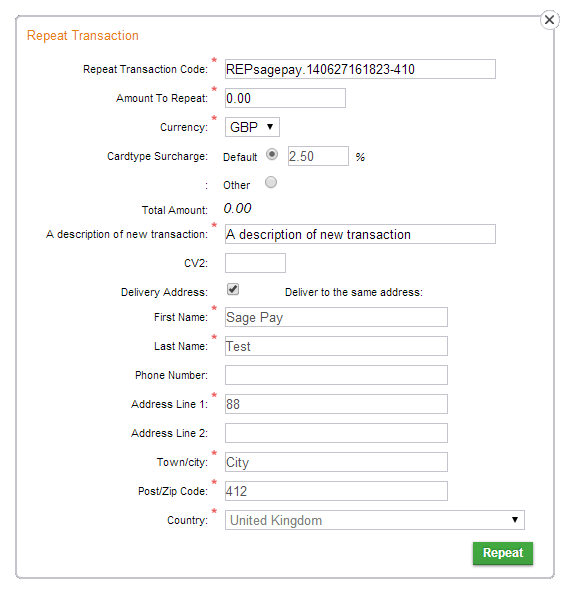 In the bottom right hand corner of the transaction detail screen there is an option to repeat the transaction. By selecting this option you will then be presented with the repeat screen. Enter the amount you wish to repeat, followed by your user password and select repeat again. You have now successfully repeated the transaction. If you don't have the repeat option on the transaction this will be due to 2 possible reasons. 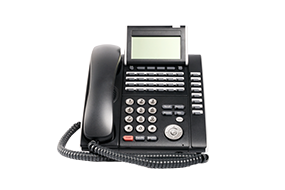 The first is you do not have the repeat function available on your Sage Pay account. 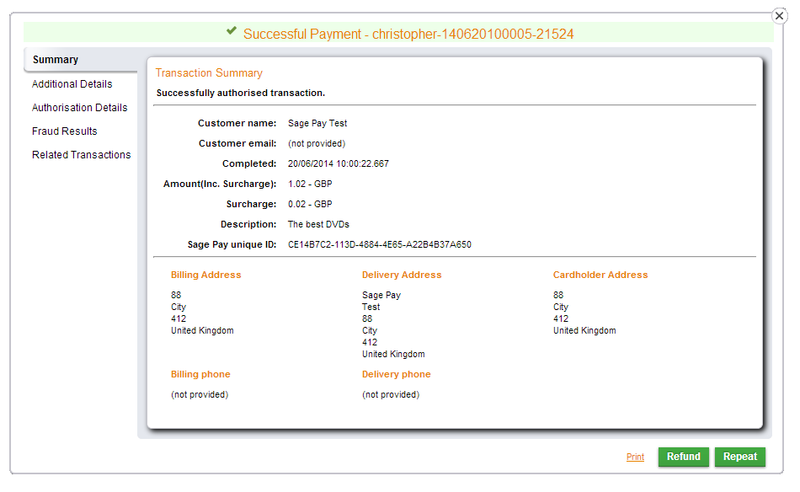 Before you can perform repeats you must have a continuous authority merchant number on your Sage Pay account. If you do not have continuous authority on your account you will not be able to repeat any transactions. Secondly, your user may simply not have the permissions enabled on your account. 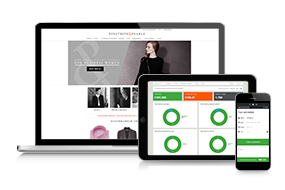 All you will need to do is speak with your account administrator and they will be able to enable this for you. When repeating a transaction there is no limit to the amount that you are able to repeat the transaction for. You can repeat the transaction for anything from £0.01 - £100,000.00. The transaction does not need to be for the same amount as the original transaction.